The Centers for Disease Control and Prevention (CDC) recently released a new report on tuberculosis (TB) cases in the United States. TB is the leading cause of death from infectious disease worldwide. Here are seven trends to know about TB, according to the report. 1. The rate of decline in the United States remains too slow to achieve TB elimination in this century. As CDC notes, eliminating TB will require interrupting TB transmission as well as major efforts to address latent TB infection (LTBI). In 2016, a total of 9,272 TB cases were reported in the United States. This represents a 2.9% decrease from 2015. The national incidence rate was 2.9 cases per 100,000 persons (3.6% decrease from 2015). 2. TB was reported in all 50 states. Nine states, the District of Columbia (D.C.) and New York City reported incidence rates above the national average. TB case counts were highest in California, Texas, New York (including New York City) and Florida. These four states accounted for just over half of the total cases in the United States. 3. CDC estimated that about 14% of U.S. TB cases with genotype data are attributed to recent transmission. 4. The percentage of drug-resistant TB cases has remained stable for the last 20 years. TB is typically treatable and curable, but TB bacteria sometimes become resistant to the drugs used to treat the disease. In 2016, the most common form of primary resistance was isoniazid (INH) monoresistance or INH-only resistance. INH-only resistance occurred in 577 cases (8.7% of cases with drug susceptibility results). 5. The number of persons who died of TB decreased. 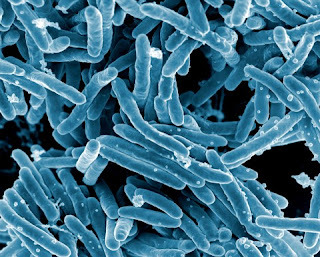 In 2015, the most recent data available, 470 deaths were attributed to TB. That's down from 774 cases reported in 2014. 6. Incidence rates decreased for all racial and ethnic groups. Minority populations continue to disproportionately bear the burden of TB disease. Asians have the highest number of TB cases (18) per 100,000 persons. Native Hawaiians and other Pacific Islanders come in second with 13.9 TB cases per 100,000 persons, followed by Blacks or African Americans with 4.9 TB cases per 100,000 persons. 7. TB disease in the United States is most common among people who travel to or who were born in countries with high rates of TB. In 2016, a total of 68.5% of reported TB cases in the United States occurred among non-U.S.-born persons. "The United States needs to implement major new efforts to address LTBI to accelerate progress toward TB elimination. New essential programs consist of a surveillance system to monitor progress, scale-up of screening for LTBI in at-risk populations, increased adoption of short-course treatment regimens, engagement of affected communities and medical providers who serve those communities, and increased public health staffing for implementation and oversight. Such an effort would benefit greatly from the development of new tools, such as improved tests that indicate TB reactivation risk, and even shorter LTBI treatment regimens than currently exist. "The United States must implement increased LTBI-related activities concurrently with sustained, effective programs to diagnose and treat patients with TB disease and protect communities. This will require continued engagement with existing and new partners to better reach high-risk groups, conduct TB testing, and connect persons with LTBI or TB disease to care in order to prevent future TB cases." Access the TB report, titled "Reported Tuberculosis in the United States, 2016," by clicking here.